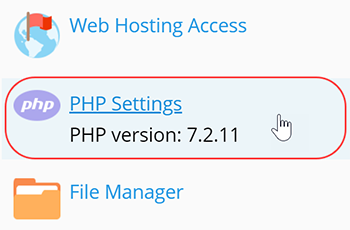 You can customize your Plesk hosting account via the common PHP settings in the Plesk admin section of your account. Custom php settings allow to control variables such as upload sizes, file timeouts and resource limits. You can edit common settings in the dashboard, and more advanced variables can be edited with the .user.ini file. Under Common Settings next to the directive you wish to edit, choose the desired option from the drop-down menu.